In order for you to get the most out of your air conditioner once it is installed, you need to have your home properly assessed for the correct size to maximize the energy efficiency and keep your energy bills down to a cost effective price. Within that assessment, we not only assess look at the size of your house to better understand the volume of air that needs to be cooled but the mechanism to properly distribute the air throughout the house efficiently. We take a look at your existing furnace and duct work in order to determine if your house can sustain an add-on central air conditioning upgrade without additional work required. As you may know, cold air for more difficult to push upwards than warm air, so we need to ensure that your current system can work with simply installing a new air conditioner. The last thing we want is for you to purchase a new air conditioner and not get its full capacity on a heat wave in June, July, August and sometimes September. Our professional A/C Installers can easily help with a FREE estimate today, simply give us a call, send us an email or fill out the form on the right to talk to one of our best today! We at Star are one of the biggest air conditioners authorized dealers in Edmonton holding all the most efficient air conditioning brands the market has to offer. We know that a proper air conditioning is vital to the comfort of people on hot days but even more important for seniors and people with disabilities that could be impacted by the over heating of houses during the summer. 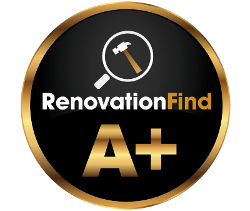 It is with that knowledge that we have decided to only install the best on the market as the reliability of these systems is far too great for our customers and our image as the best in Edmonton. We are well aware that once you have made that decision to price and new central air system for your house, you would like it installed yesterday or today if it has to be like that. With a fleet of AC and Furnace technicians scatted all over Edmonton and surrounding areas, we are able to get the job started and finished in record time. Star Plumbing and Heating has been installing air conditioning systems in Edmonton for over 40 years and has built a fantastic reputation for quality service, friendly demeanor and a commitment to excellence in each and every one of its service calls and installations. We do not take this lightly as this is the only way we know we will be around for 40 more years. Right from the beginning to the end of our service, we strive to give you complete peace of mind. When we put together our free quotes, we want to ensure that there are no surprises and that you are always well aware of the work required to obtain the best possible home comfort system installed in your house. We provide a simplified no-obligation quote once we have had the time to properly assess the work required to install one of our top of the line air conditioners into your home. No work will commence prior to you agreeing with the detailed quote as we do not want you to feel pressured in any way. Once this is agreed upon, one of our experienced technicians will coordinate with you to begin the delivery and installation of the air conditioner. For anything air conditioning in Edmonton, call Star today to book your obligation-free appointment online. We know that air conditioning units and furnaces can be quite overwhelming to operate and understand, so we make it our mission to assist in this steep learning curve for all our customers. Before we leave we go through all the features, controls, thermostats, digital displays and instructions to ensure that each one of our customers is ready to go. We do leave our information too so they know that they can always fall back on us if they need to. Since we have been doing this for many, many years that the maintenance of these systems is essential to keep the efficiency of the unit at it’s peak which is why we offer all of this information readily available. We know that when you have just invested a lot of money in your home, you and your family is fully expecting to have a truly climate controlled house. It is our honor to be the company that helps with that. With the latest technologies and installation techniques, we have the ability to add zoning conditioner systems so that different parts of your house can be cooler than others.